I've been planning to write something about the Dopplereffekt interview in the October 2009 issue of The Wire so here it is in a kind of interactive version. It is a great interview which covers a lot of ground, the most obvious repercussion of it for me was that there was a pronounced spike of at least an additional 50 hits a day on DRL that remained constant for that month. If this is an indication as to how many new people heard about them or were made more curious then I guess the piece certainly achieved something positive. In case you missed it someone scanned it, link below. I of course would never reprint copyrighted material here, unless it's unavailable elsewhere. You can still buy it from The Wire shop as well. 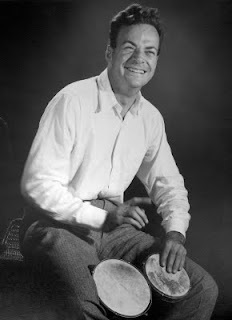 The physicist Richard Feynman was mentioned to which Donald said that he was known for playing the bongos and was a genius. I subsequently found a very good documentary, 'The Last Journey of a Genius' (1988), on GoogleVideo about him which uses almost exactly this information in its opening description of him. You can watch it at the following link as I’m sure Donald already has. I think it was significant that they were willing to be photographed unmasked and even happy to confirm they were based in Germany, although this was a common enough assumption till now. I'm not sure if this was already known from another interview but we also learned that To Nhan Le Thi first name is Michaela. That was where the personal information stopped and really they know as well as we do that it doesn't matter anyway. I would say that the masks will reappear for the live shows for the sake of the theatrical aspect of it but it was nice this time to see their faces. The pictures from the session by Dominik Gigler can be viewed again at his website and the venue for them was Munich's Deutsches Museum, worth a visit, links below. 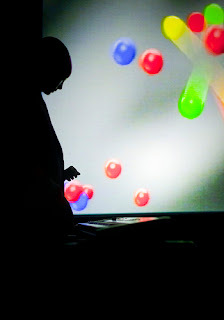 If anyone was at or has any pictures of Dopplereffekt's installation at 'Off-Center' in Leipzig let me know. I contacted the gallery myself but got no reply. Just in:Dopplereffekt to play Berlin on 28th November. 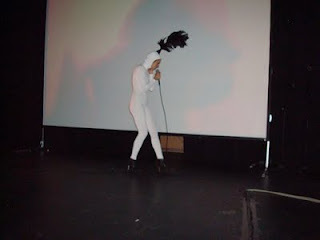 Three short but always intriguing video's from Black Replica's 26th May 2007 show at the Zenderruisch festival in Dordrecht, Holland, have just emerged from the darkest places of the internet. I have created what will hopefully be a helpful list for people new to collecting Drexciyan and Gerald Donald projects over at Amazon, was surprised that no-one else had done it. Although I know I shouldn't be helping out a corporation like this I can almost guarantee someone will eventually discover great albums by Elecktroids or Japanese Telecom because of it and that makes it all worthwhile. Great to see most of this stuff still available as well, although I see Drexciya's 'The Quest' will currently set you back £80 while Arpanet's 'Quantum Transposition' is currently the cheapest item at just under £5. Only the Der Zyklus and Abstract Thought CDs are currently not available. You could probably get much of this stuff cheaper from other sources as well so just use it as a guide. You can also peruse my Wishlist while your there, my birthday is soon! Lastly a bit of fun: I was dropping cheesy vinyl recently at a friends when I heard what sounded a lot like the bassline from the Heinrich Mueller remix of Le Car on Madonna's 'Dress You Up'(1985). Listen and compare for yourself, first 8 seconds works best, anyone for a mash up?